Back to School in Style with Gordmans + a Coupon for You! I was given a gift card to facilitate this post. Opinions are my own. When it comes to clothes, my little girl absolutely takes after her dad. My style was stunted by years of Catholic school uniforms and trying to hide my figure under loose clothes. My baby girl, RD, was born with style and an insane love of pink. When I mentioned that we would have to go shopping for school, my soon-to-be kindergartner took soon to be now and would not stop asking me when we were going to Gordmans. Yes, she asked for it by name and we finally went. 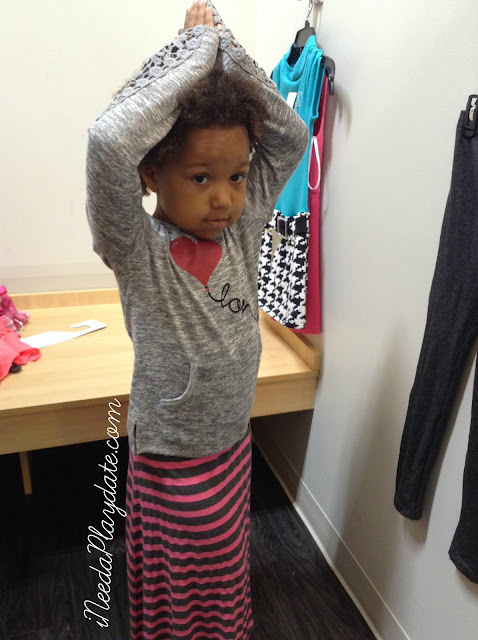 She was in heaven running through the racks of clothes. Gordmans has been a favorite of ours since it open stores in Ohio this year. I went for the first time at the start of summer and kept the cost to under $100. 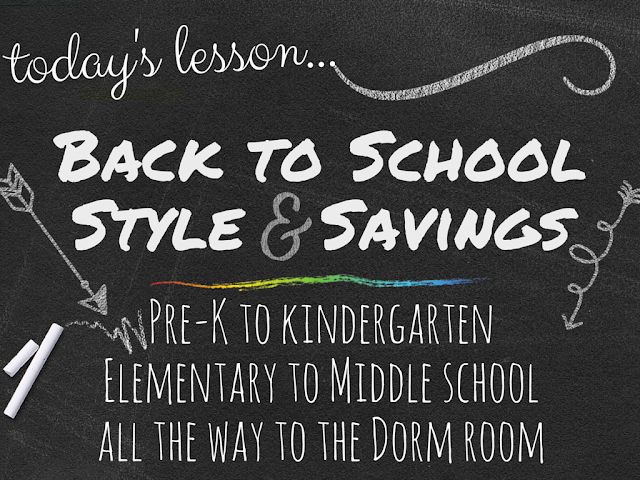 I knew that when it came time for school shopping, Gordmans would be our first stop. Since we went to the store in Mentor already we decided to try out the one in Aurora. Both stores are about 45 minutes from Cleveland, but I think is worth the drive. Plus, I love the staff. Everyone is so helpful and willing to go out of their way to be helpful without being pushy. Since, this was all about RD (and she knew it) she went a little wild running through the racks and picking out her favorites, which included two formal dresses from the misses section. 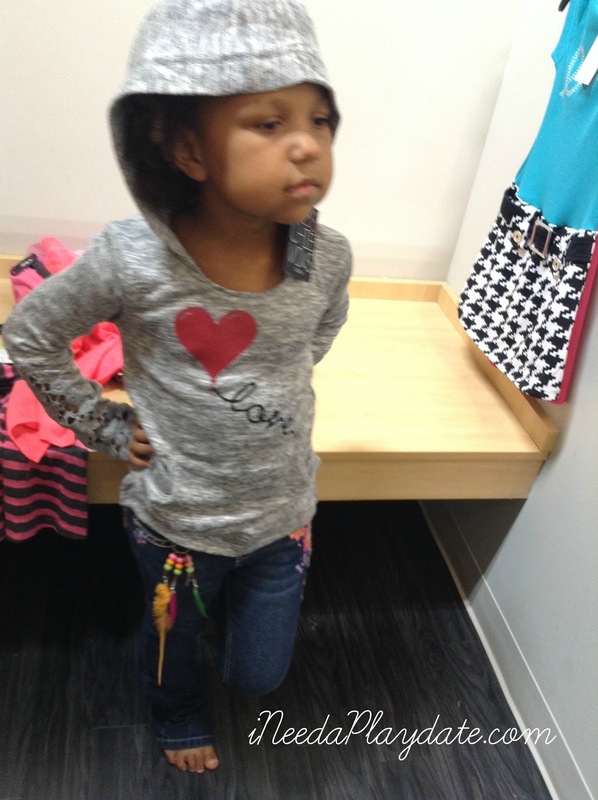 After I convinced her that they only looked to be her size and were indeed to fancy for school we switched gears and stayed in the girls section, for the most part anyway. 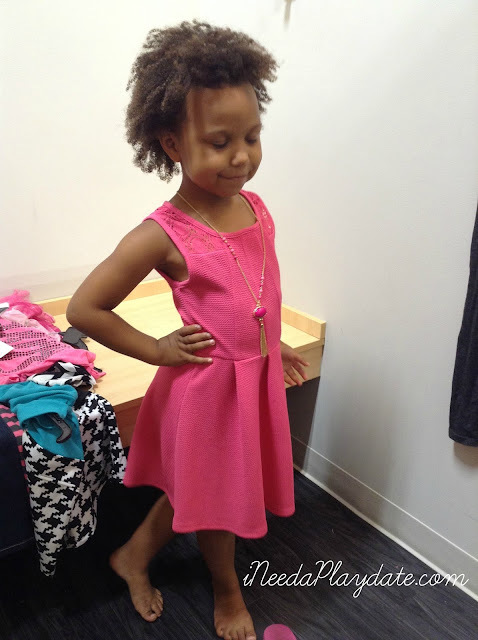 She is between a size six and a seven so we started with the sevens. Tops and shirts are fine, a little long but not too bad, it's the bottoms that are the real challenge. A size seven will fit her booty but are too long. Leggings are workable because they can be pulled up, but we can just forget about jeans. There isn't too much to do with jeans unless I sewed and hemmed them which is a shame because they look so cute! This is the first time she actually found a pair of jeans that she was willing to wear. Before that, jeans were off limits. I was really hoping they'd fit, but they just don't make jeans for little girls unless they have narrow waists. We started with 14 items to try on and we eliminated a few items right off the bat, mainly the jeans and the leggings. The size that fit were too long even to pull up. We left Gordmans with two dresses (one not pink! ), a maxi skirt, a pair of leggings I found in clearance, a sweater, and a couple tops. I had a 20% off one item which went to the most expensive item - the pink dress that was $24.99, I also applied for a store credit card and got an additional 15% off the entire order. I was informed that even if you are denied, you still get the discount. Our total before discounts was $113 and change. After the discount $101 and change. 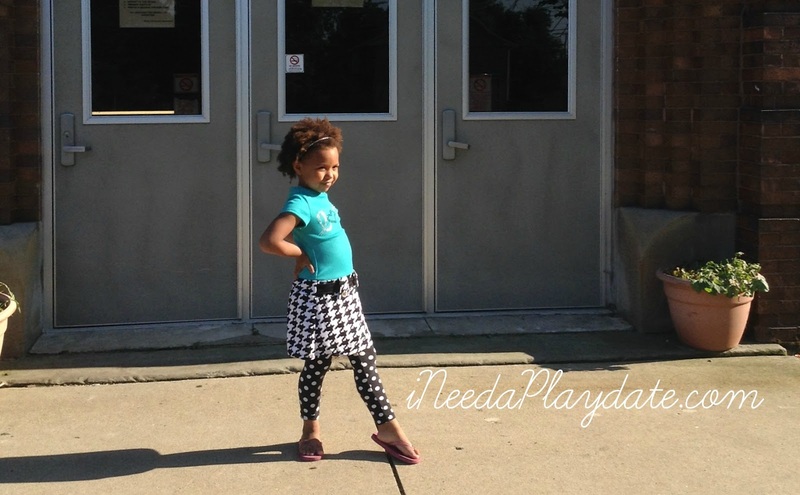 All in all, I feel we got some really cute, nice clothes to kick school off in style and I don't feel like a spent a lot for very little or that they won't survive the first few months. 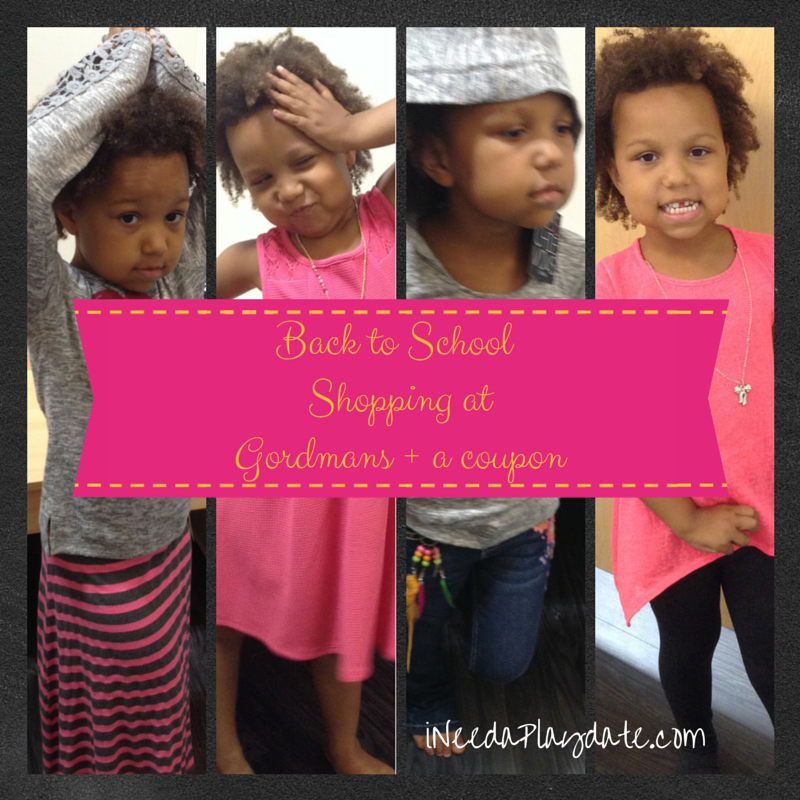 Want to try out Gordmans for yourself? Download a coupon for 20% a single item! Hurry - deal ends Friday!